We've been following OLED (organic light emitting diode) technology since the very beginning when Sony showed the first models. 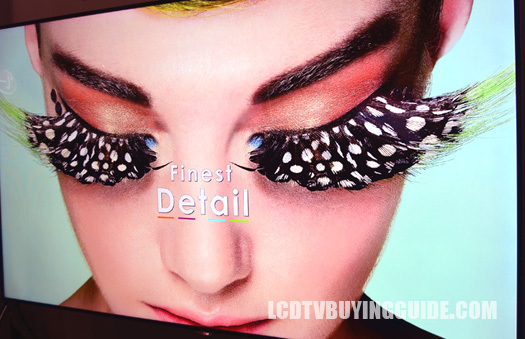 We also reviewed the first OLED to hit the market in the US which was also a Sony (24'). We feel that OLED is truly the next direction in technology for TVs due to its outstanding display attributes and will actually stick around for a while. 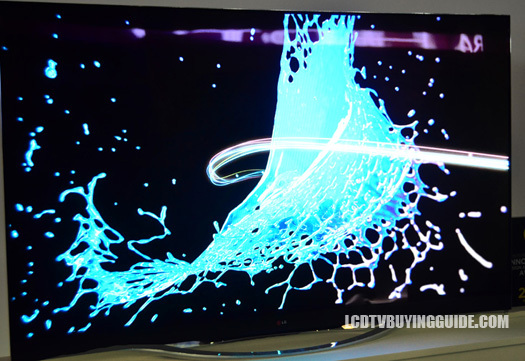 The LG 55EC9300 curved OLED TV is only a slight step down from the 4K OLEDs above it. This one lacks the 4K resolution, but we don't really see that as a fault. A 55-inch 1080p OLED screen is capable of producing beautiful images, especially with the right source material. In fact, the lack of 4K is bound to bring the price down a lot faster on this model, making it possible to have it in more living rooms. The curve of the screen is supposed to make for a more immersive experience and widen the field of good viewing angles. This may not really be necessary for an OLED screen and those who want something else should look to LG's flat Gallery OLED TV. LG believes this new addition to their high end lineup will be a game changer for the company. It's the lowest priced OLED TV out yet at $3499 for the 55" diagonal set. 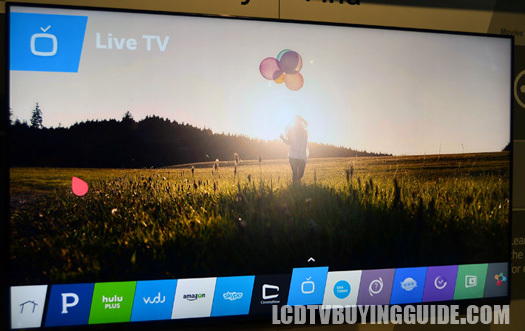 That compares with an MSRP price of $14999 for their introduction 55" OLED TV last year. We'll be updating this page as we receive more information and are able to review the model in person. 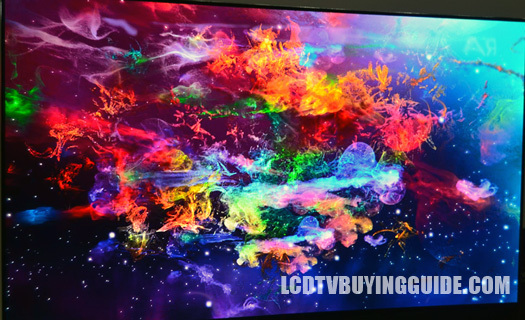 Generally, we have stated that we prefer OLED TVs picture quality over a 4K LED TV anyday due to the much more saturated black levels and extremely beautiful color renditions that they produce. The Sony XBR-65X950B changed our minds somewhat about what can be produced with 4K LED. It has an amazing picture, black levels, and light flow through from the full array LED backlighting and colors are also rich and amazing. We'll be interested to review the two together even though the XBR-65X950B is not produced currently in 55". The 55EC9300 is not UHD (ultra-high-def) 4K so will compete head to head with that higher resolution technology. 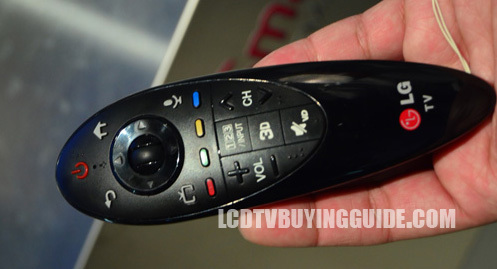 The 55EC9300 has better black levels and briliant color and should win out over lower end 4K TVs for that reason. The 55EC9300 has a cinema screen style almost frame-less design. It's very thin with a slight curve to the screen. We're not partial to curved screens as we do not feel they really help viewing quality and may even hurt viewing from extreme side angles. The "curved" screen appeal is more toward something different like the slightly tilted monolithic table top stand from Sony in recent years. It's a bit of a gimmick in our opinion. This newer model OLED from LG may also be wall mounted. At $3499 LG is outlaying this OLED TV at 1080p as a great alternative to mid-range 4K LED TVs (including their own).